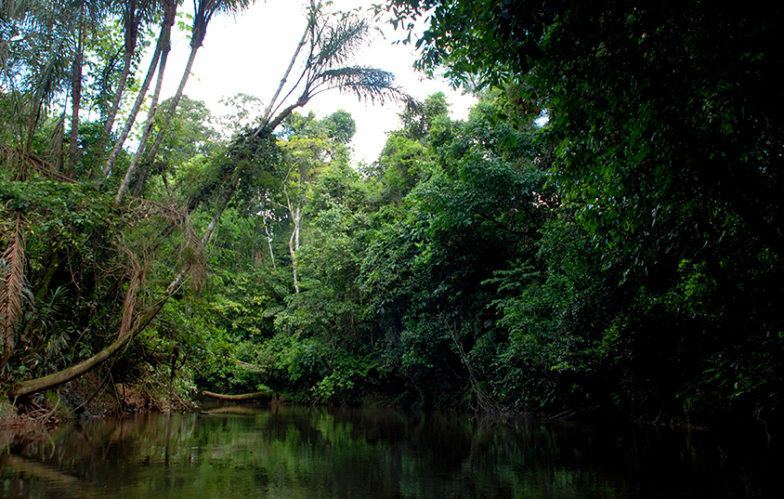 The mission of Acaté is to preserve the Amazon Rainforest in partnership with its protectors. Working directly with the Matsés people, we are finding ways for them to live a sustainable and harmonious way of life - one where they can have an economic income without destroying their land and chosen way of life. By helping the Matsés and other indigenous peoples of the Amazon to maintain a more sustainable way of life, both their culture and the ecology of the rainforest can be protected from threats such as petroleum, gold, and timber industries as well as the growing menace of bio-piracy. Onaway were inspired to fund this project because we believe that indigenous cultures offer us an opportunity to learn. We want to help sustain the ancient tribal ways which have existed on our planet for a long time. We help support these indigenous cultures so that they can go on imparting their wisdom for many more years. We believe that the Amazon is a jewel to be protected and respected, not destroyed for profit, something petroleum, timber, and mineral extraction industries are doing right now. 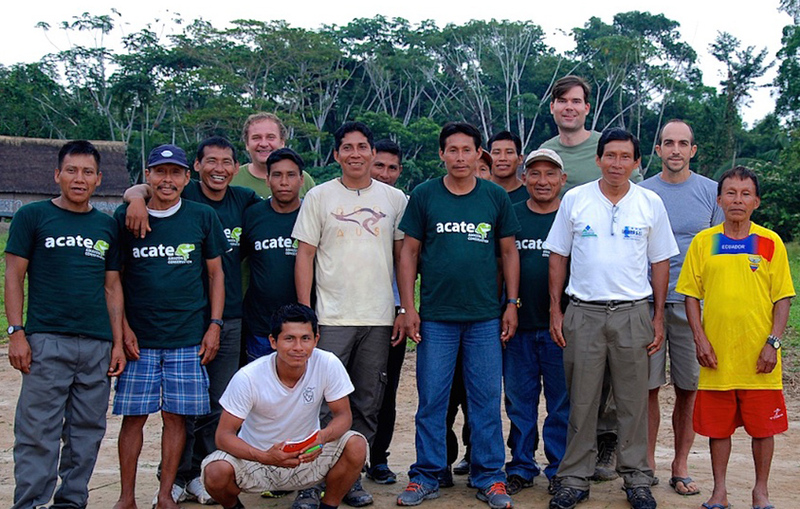 Acaté is made up of a dedicated team of indigenous leaders and professionals based in Peru and the United States. Between them, they work tirelessly to promote indigenous rights and search to find better ways of providing income to the people of the Amazon. 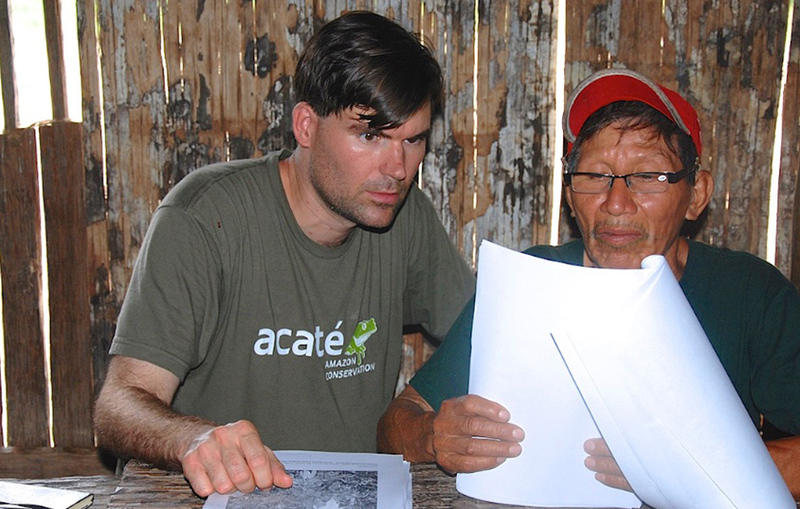 Acaté work alongside the Matsés communities to ensure that the development and implementation of each initiative is guided by Matsés leaders and representatives. The Amazon makes up one third of the rainforest on the planet and is home to one in ten of the animal life that we know of. It is the one of the most biodiverse regions and cradles of life on our planet; a jewel to be protected and respected; not destroyed for profit. Companies from the petroleum, timber, and mineral extraction industries are doing great harm to this area, through deforestation and infrastructure erection. Where Indigenous Peoples live, the rainforest is being protected against these harms, by both sustainable lifestyles and legal protections (of land rights). Acaté have spent the last decade nurturing relationships with indigenous communities and forming partnerships to help give them a voice in the struggle to survive the extractive industries that are doing such harm to the area, and counter the negative impact that the outside world is having on their traditional way of life. Amazonian tribes such as the Matsés are finding themselves in regular contact with the outside world. Other time, this begins to diminish the knowledge held by the tribes as people begin to disperse. 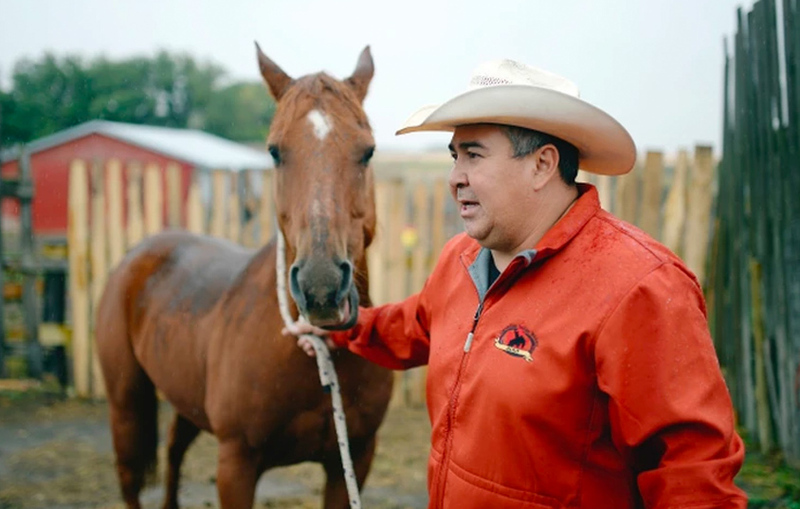 This is particularly an issue when it comes to healthcare, where remote tribes lose their medicinal knowledge but remain far away from healthcare providers. Indigenous groups have very high rates of disease and mortality because of this. We help support these indigenous cultures so that they can go on imparting their wisdom for many more years. 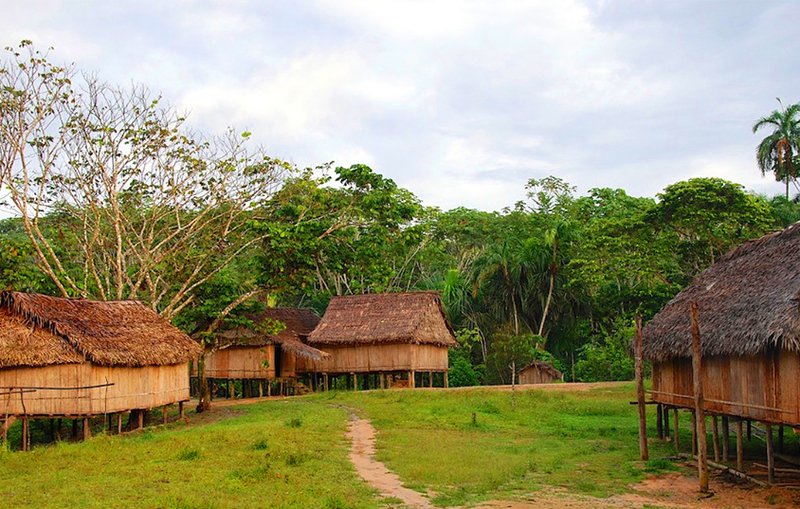 Acaté have helped the Matsés to set up economic alternatives which allow the indigenous community to buy what they need for their homes, using money that they have made from non-timber products such as copaiba resin. The income gained from this is sustainable, with low impact to the rainforest. 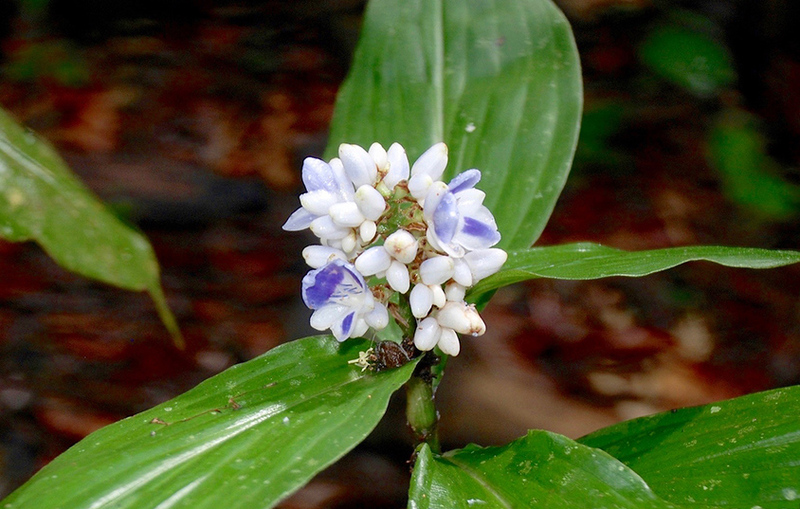 Initial work with the tribe has produced the Traditional Medicine Encyclopaedia, allowing the Matsés to document their knowledge of medicinal plants in the Amazon. This document is the first of its kind – a complete transcript of the Matsés medical knowledge with over 500 pages categorising disease alongside an explanation of the symptoms, the cause and what plants can be used to treat it. The Encyclopedia was written entirely by indigenous shamans in their own language and words. This document represents the first steps of the Matsés to sustained self-sufficiency. Following on from this, they are also beginning an Apprentices Program, where an elder shaman works with younger Matsés to learn about the plants and to help treat patients. This program helps the villages that have lost their traditional healers, bringing much needed knowledge and assistance. Through working with farmers on permaculture initiatives, there is less need for small scale slash-and-burn agriculture as soil can be kept rich and full of nutrients. 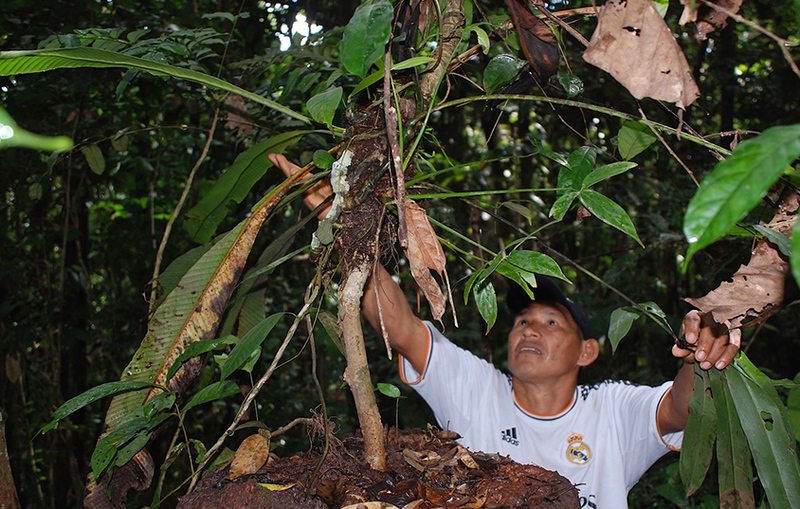 The Matsés grow a variety of crops including manioc, plantains, and papayas and are working on incorporating new vegetation to their farms, as well as saving endangered crops which they rely on for food. 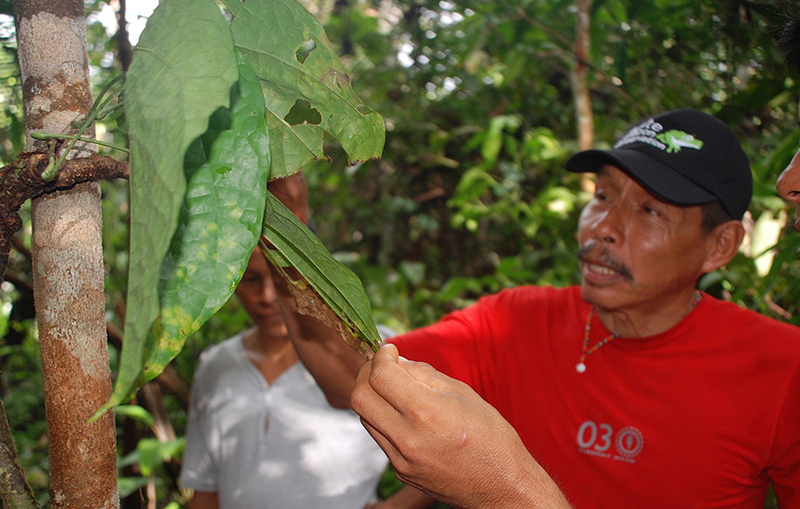 Medicinal plants have been integrated into the village plantations so that the shamans and healer have access to the plants that they need close to the people that will be using them. Where the plants need rainforest eco-systems to grow, the Matsés have built healing forest gardens which look much like the surrounding rainforest but can house the essential plants used to cure illnesses. The work is on-going, as our people work together with the Matsés to provide further specialist advice, encouraging them to find new ways to sustain themselves, as well as conserving the knowledge that they have about the rainforest and its medicinal plants through more apprenticeships between shamans and the younger tribespeople. The mission of Acaté is to preserve the Amazon Rainforest in partnership with its protectors. Real on the ground capacity-building underlies all of our initiatives whether it be indigenous medicine, permaculture, or sustainable commerce.